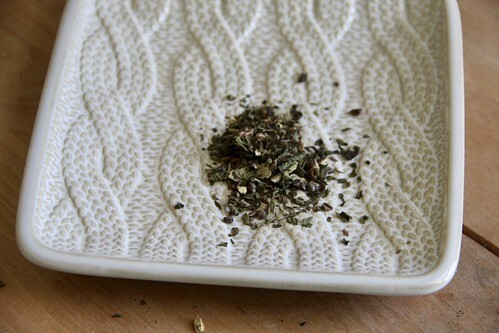 When I received Mystic Mint from Rishi Tea in one of my Tea Runners boxes, I wasn’t sure whether I would like it or not. 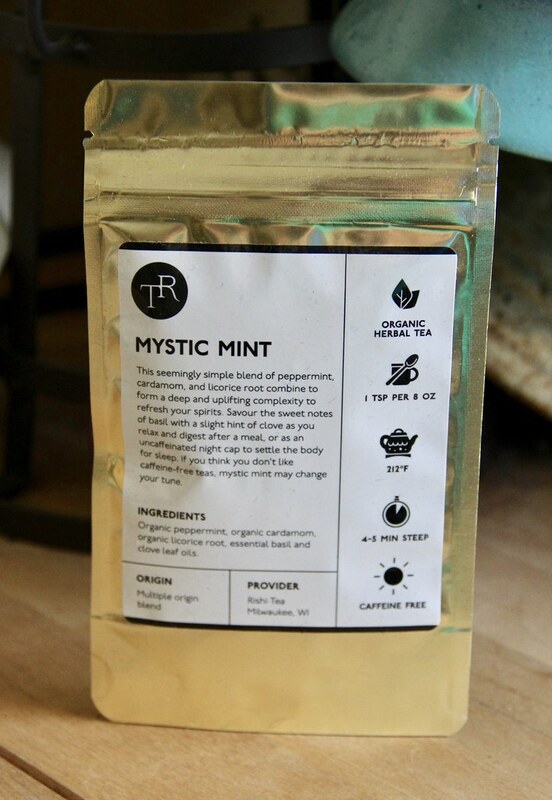 Mystic Mint contains organic peppermint, organic cardamom, organic licorice root, essential basil and clove leaf oils. It is available in a variety of sizes: teaser for $2.00, 1/4 pound for $14.00 and a full pound for $49.00. On one hand, just reading the ingredients this sounded like something I would like since I really like both spicy teas and licorice. I was a little skeptical of the combination of flavors, but thought I’d give it a try. Then this week due to the change in the weather I had a bit of a sore throat, and I though the licorice root and a bit of honey would help so I brewed this one up. In general, this one was okay, but it isn’t the first tea I’d grab. The peppermint was refreshing, there was only a hint of sweet licorice at the finish, and even though it was a tea of strong flavors it wasn’t overwhelming. However I didn’t find it as smooth a blend as I might have liked; the flavors didn’t all meld and enhance each other. If I’m looking for a mint tea, I’d probably stick with Upton’s Moroccan Mint and if I wanted mint and licorice I’d hands down prefer Teapigs’ Liquorice & Mint. I always lean toward Evening in Missoula when I want that minty licorice flavor. It doesn’t have licorice root, but it has star anise so it’s similar, and everything in it blends so nicely together to create such a soothing flavor.